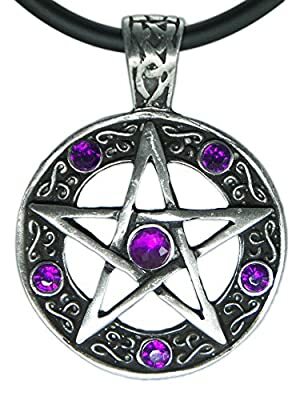 When you buy this Wiccan Gothic Pewter Pendant from Exotic Dream today you will also receive the 18" PVC Necklace so it is wearable straight out of the box! 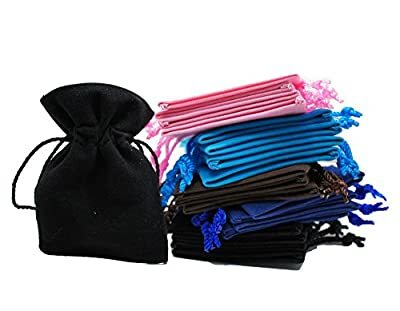 Comes in your choice of 9 different colors! The number 5 has always been regarded as mystical and magical, yet essentially 'human'. We have five fingers/toes on each limb extremity.We commonly note five senses - sight, hearing, smell, touch and taste. 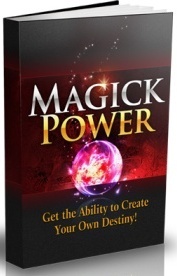 We perceive five stages or initiations in our lives - eg. birth, adolescence, coitus, parenthood and death. (There are other numbers / initiations / stages / attributions). The number 5 is associated with Mars. It signifies severity, conflict and harmony through conflict. In Christianity, five were the wounds of Christ on the cross. There are five pillars of the Muslim faith and five daily times of prayer. 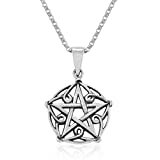 Five were the virtues of the medieval knight - generosity, courtesy, chastity, chivalry and piety as symbolised in the pentagram device of Sir Gawain. 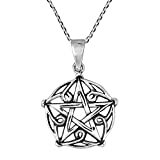 This Wiccan Gothic Pewter Pendant is a symbol of a star encased in a circle. Always with 5 points (one pointing upward), each has its own meaning and interpretation. 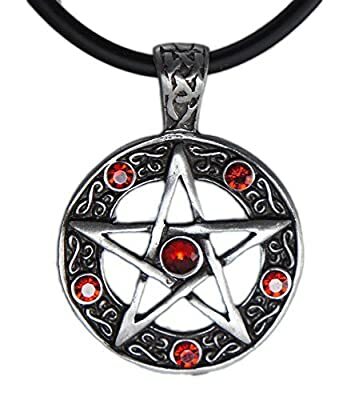 This pentagram/pentacle is a classic symbol of Wicca and Witchcraft and at this great price, everyone can afford one for themselves. It will also make a great gift!